What is a method? What methods for evangelism/revival work? Which ones don’t work? What methods did the early church use? What methods were used during the revivals in the early 1900′s? Would those methods still work? Did they really even have methods? Is that a method, or an excuse to neglect Truth? I am not here to proclaim that we should shut down every conversation about methods, not by any means. But before we spend too much time on methods, we better make sure that we are giving the proper time and effort to the foundational methods; there are some methods which have always been, and will always be, a part of every revival and outpouring of God’s Spirit and Truth. 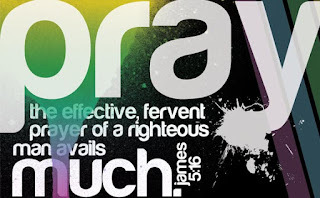 From the birth of the Church until this present day and every day following, prayer has always been the foundation and precursor to an outpouring of God’s Spirit and a revelation of Truth. What we need before we focus on any other method is men and women that will give themselves to agonizing, soul-stirring, hell-fighting, door-opening intercessory prayer for a lost and dying world. Hopefully we spend as much time in prayer as we spend debating, discussing, organizing, and implementing other methods. If we will give ourselves to prayer first, I believe four things will happen. 1. We will learn to rely on God rather than any method. Prayer and fasting (and similar disciplines) are the only universal methods that will work in all places at all times. 2. God will give us wisdom to utilize methods that will work in our culture in our time. Obviously these could look incredibly different from city to city, state to state, and especially country to country. 4. We will easily discern the difference between a method and a neglecting of Truth. Leading with prayer will not lead us to leave Truth. Allow me to express my opinion this way. I write. But most of the time I stew. I convince myself that I’m doing something important, but really I’m just stewing. There comes a point when even the good work of preparation, study, source gathering, organizing, and outlining begins to impede the actual work of writing. Almost every time I write, I reach a point at which I must convince myself to stop the busy and start the real work. Isn’t that kind of where we are? I agree that methods are important and I am not against discussing what will work. But it won’t matter if I am not doing the actual work (and maybe work isn’t a good term, but I think you understand). Please, pray for lost souls. Pray for revival. Pray for an outpouring of God’s Spirit. Pray for Truth to be revealed to the hearts of men. Pray. And then pray some more. Maybe God will reveal the method that you need to use in your city while you are praying?